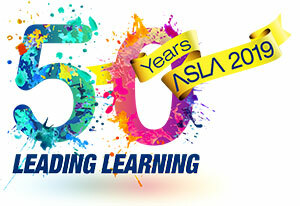 This national award recognises and honours an exceptional Australian Teacher Librarian in a school setting whose professional practice has a positive impact on student achievement and information literacy. This Award carries a $1500 cash prize from Pledger Consulting Pty Ltd and $500 WebLinks - LinksPlus products. Bev has been the Teacher Librarian at Para Hills East Primary School for the past 13 years during which time she has firmly established her school library as the 'hub' of the school community. cooperatively plan innovative units of work that accommodate diversity in cultural backgrounds. ensure the development of Information Literacy skills as a high profile priority and the driving force of the school’s change and improvement agenda. use many students from Reception to Yr 7 as library monitors ensuring they are critical role models in the use of information resources. establish a Library Promotions Group which has planned events for students within the school. Beverley’s collaborative and cooperative work has extended well beyond the walls of the school library. She has facilitated and presented at a number of conferences and workshops within South Australia, nationally and in New Zealand. She has also played significant roles in national and state projects.